Our 10 purpose built hutches have been designed to ensure our guests have ample space in a nice relaxing environment. The retreat has been decorated in a pale soothing colour scheme and the hutches are double walled made from top quality timber. In fact they are so good we reckon your pet won't want to go home! The size of each hutch is 22.5" x 44.8" x 28" (57cm x 113cm x 70cm). We provide a generous covering of wood shavings throughout the entire hutch and a lovely hay bed in the corner for them to snuggle down in. Fresh vegetables are supplied daily along with their regular daily food and water. 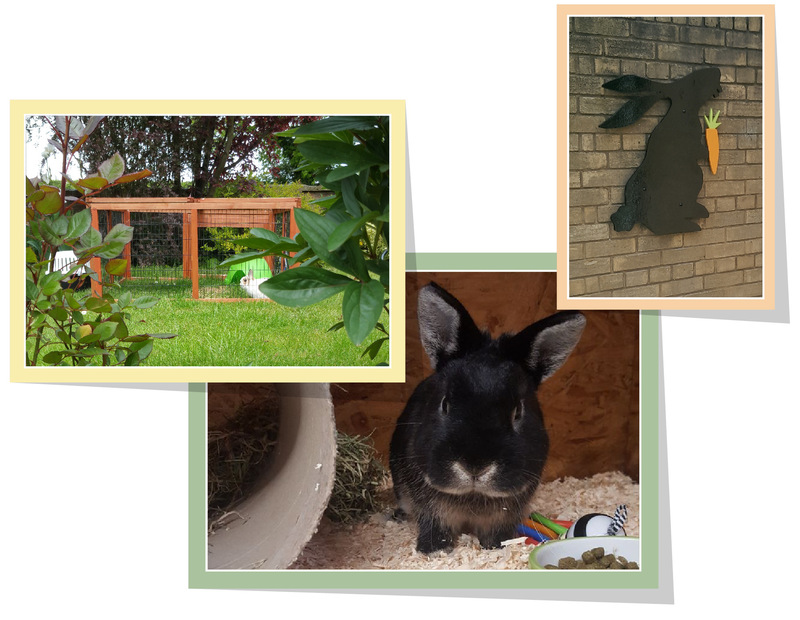 When the sun is out we make sure our rabbit and guinea-pig guests get to make the most of it with time in the outdoor run which is in a lovely grassy area. We are able to accommodate indoor pets using carpet tiles rather than wood shavings. A £1 deduction is applied for rabbits or guinea pigs from the same family sharing a hutch. We recommend that Rabbits are vaccinated against Myxomatosis and Viral Haemorrhagic Disease (VHD). The Myxomatosis vaccine should be given every 6 months, and the VHD vaccine annually. Please ask your for more details about both vaccines.